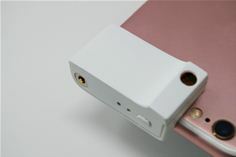 Design, development, and sales of Sled/Jacket-type and Gun-type AsReader devices (1D, 2D, RFID, NFC) that are connected to iOS iPhone / iPod touch / iPad and Android OS smart devices. Development of business solutions, focused on mobile devices. Contract development and manufacturing of customized business devices.